The Egyptian government can shut down the internet and , but the truth always finds a way out. I was able to get this picture from Sister Lina who runs a blog called “Live from Gaza”, she got a hold of it from her friend who’s currently in Egypt. 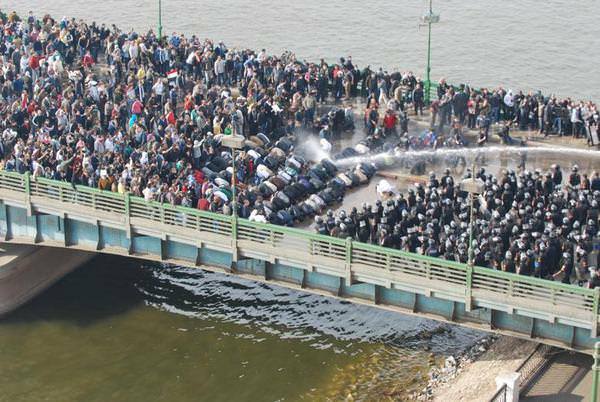 As you can see, the police are shooting water cannons at the crowd that is praying in the midst of political instability in Egypt. May Allah swt protect the innocent and give us all just leaders, Ameen.